RAY White Surfers Paradise Group, Bond University, BPS Technology and GoldLinQ are just a few of the city's leading businesses that have made the Gold Coast Top Companies list in 2016. Spanning a range of industries, the companies range in size from $30 million in revenue to sales turnover of more than $1 billion. Featuring some of the city's newest listed companies, along with major players in the private sector, the 21-30 list showcases growth across most sectors underpinned by rising business confidence on the Gold Coast. SINCE its establishment 15 years ago, Wyndham Vacation Resorts Asia Pacific (WVRAP) has grown to be one of the largest timeshare companies in the country. 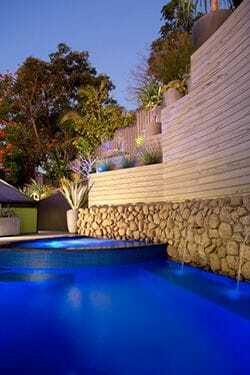 Formerly known as Trendwest, Wyndham Vacation Resorts Asia Pacific boasts a portfolio of 26 club resorts and more than 51,000 owner families in Australia, New Zealand and Fiji. 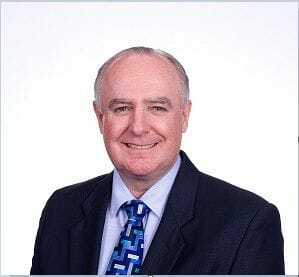 WVRAP president and managing director Barry Robinson has been a key player in the success of the company, growing his responsibilities to include Wyndham Hotel Group South East Asia and Pacific Rim and its 15 hotel brands. This was followed by the announcement of more than 30 franchise agreements for new hotels in the region over the past year, including in new territories such as Vietnam and Myanmar. Wyndham's first vacation club in Asia, Club Wyndham Asia, was also launched in 2015 alongside the opening of the club's flagship property, Wyndham Sea Pearl Resort Phuket. Together with sister company, Wyndham Hotel Group South East Asia and Pacific Rim, which has offices in Singapore and the Gold Coast, the companies have more than 4000 employees. V8 SUPERCARS Australia CEO James Warburton has an interesting view of one of Australia's biggest sporting events that reaches a global audience of 275 million homes in 97 countries. "In mainstream media we're still the best kept secret," Warburton says. "Whilst you look at the audience of V8 Supercars on the Gold Coast, for the rest of Australia and even in parts of Asia and the rest of the world, it's not really known or mainstream enough in terms of awareness." However, the digital age has created major opportunities for the Gold Coast company, and Warburton couldn't be happier. He says digital markets create the greatest traction with car racing fans, well beyond traditional media channels. "We've been really driving our characters, our drivers, our teams, and we have been building a level of awareness and telling the story that it's the third most attended sport in the country, and the fourth most watched," says Warburton. "Digital has been incredible in terms of extending our reach, more in terms of short-form content, website and Facebook reach and really just connecting with our audience more and building those characters." V8 Supercars says it has boosted commercial digital revenue by 50 per cent in the past year. Its biggest race, Bathurst, achieved a reach of 22.5 million across car racing's big weekend in 2015. V8 Supercars, which is majority owned by private equity group Archer Capital, secured a $241 million broadcast deal with Foxtel and Channel Ten in 2015. While the company's financial details remain under wraps, the latest deal gives it a guaranteed base revenue of $40 million until 2021. 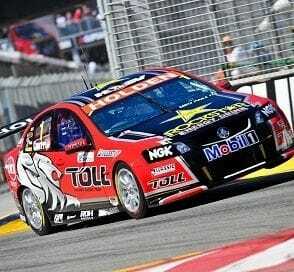 V8 Supercars hosts the biggest sporting event on the Gold Coast each year, the GC600. The Gold Coast race is only topped by Adelaide's Clipsal 500 and the Melbourne Formula 1 as the country's biggest sporting event. WHILE BPS Technology (ASX:BPS) is among the new ASX-listed Gold Coast companies, its business heritage stretches back more than two decades. BPS owns the Bartercard trade exchange, an enduring business established at Southport in the early 1990s. It is this longevity that gives BPS the edge in the sector, with the company's capabilities in providing back-end technology for trade exchanges driving its global growth strategy. BPS accounts for about $600 million of the $20 billion global trade exchange industry, leading CEO Trevor Dietz last year to describe the company as the 'gorilla in the room'. BPS estimates there are 2500 trade exchanges operating globally and it plans to encourage a fair share of them to employ its Tess platform. In the meantime, BPS is growing the Bartercard system with expansion into China and India. It also plans to roll out a new universal loyalty system, named Bucqi, for Bartercard traders. Bartercard currently has 55,000 traders worldwide serviced from 75 international and domestic offices. Institutional investors have been strong supporters of BPS Technology since it listed in 2014, but the company's shares have struggled to trade above their $1 issue price. After gaining ground in late 2015, the shares have settled back below $1. This is despite BPS posting a better-than-expected net profit of $7.9 million in FY15. BPS followed it up in the first half of FY16 with a net profit of $3.5 million, up 7.3 per cent from a year earlier. BOND University doesn't shy away from its tumultuous past. So when controversial businessman and university founder Alan Bond passed away last year aged 77 there was a time for genuine reflection of the legacy he left behind. Bond University, founded by Bond in 1989, ranked among Australia's highest rated universities in the 2015 Good Universities Guide for Education Experience. It achieved five-stars, the highest possible rating for staff-student ratio, teaching quality, overall satisfaction and generic skills. Vice Chancellor Tim Brailsford says the influence of Bond will continue to fuel the university as it continues to strive for excellence in tertiary education. "Alan Bond's vision, inspiration, passion and energy were critical to the founding of our university and his contribution will continue to live on through the university's name," says Brailsford. "His entrepreneurial spirit and fierce determination to challenge, be different and achieve excellence is deeply entrenched in our DNA. We will launch a surprise (in 2016) in Alan's memory." Brailsford says uncertainty surrounding higher education funding by government remains one of the biggest challenges for the sector, creating volatility in 2015. 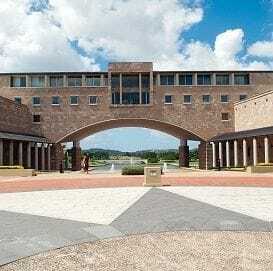 "However our independent status means we receive no government funding for student places, and this fact coupled with our unremitting focus on our quality of education and the student experience, has helped us to ensure it has remained 'business as usual' for everyone at Bond University in 2015." Among Bond's original goals for the university was to attract up to 40 per cent overseas students. The university has since set a target of 50 per cent and now has the highest foreign student participation rate of any university in the country. 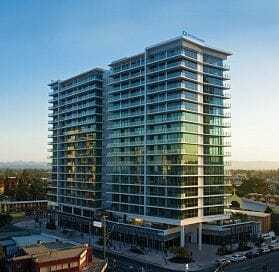 THE Bell brothers continue to build a big name for themselves, operating the city's largest real estate network that incorporates residential and commercial property, as well as luxury boat auctions. And the recovery of the Gold Coast property market over the past two years hasn't hurt either. Directors Andrew and Greg Bell (pictured right) have grown Ray White Surfers Paradise Group to be the largest real estate agency in the entire Ray White network, encompassing 23 office locations in the Gold Coast region, nationally and internationally. Andrew Bell attributes the growth to the improving Gold Coast property market and improved selling conditions which have helped accelerate growth. "We have been through five cycles on the Gold Coast and we know how to adapt from an underperforming market to a growing one," says Bell. "Being on the front foot and able to capitalise on an improving market has been a key part of our growth." Bell says both residential and commercial markets are strong and sellers are getting significantly better results than they were a year ago. "Investors, particularly from Sydney, Melbourne and China, see a lot of value in our real estate and strong rental yields and capital growth potential is driving their interest," he says. Bell says current hotspots include Surfers Paradise, Southport and northern suburbs including Hope Island. ROBINA Group enjoyed a surge in investment over 2015, with the group's development pipeline cracking $1 billion. 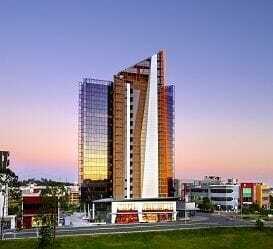 The buying spree culminated in the $70 million sale of the The Rocket, the Gold Coast's largest single-title office tower transaction in eight years, along with the $46 million sale of the Foxtel building. Robina Group director Tony Tippett says it has been a big year for the private development company and the biggest challenge has been trying to meet demand of the influx of people wanting to live and work in Robina. "The main challenge of this year has been delivering stock to meet demand, which is a good problem to have," says Tippett. "Overall the market challenges of this year have been significantly less than previous years and there are many signs that market conditions and sentiment are continuing to improve. "Robina Group is looking forward to another exciting year in 2016 with new residential and commercial projects to be announced, as well as progressing the existing pipeline which includes The Base, CityVillage and Botanique." Robina Group is behind more than 125,000sqm of retail and 7740sqm of office and commercial space, along with 500 apartments and more than 10,000 residential homesites. 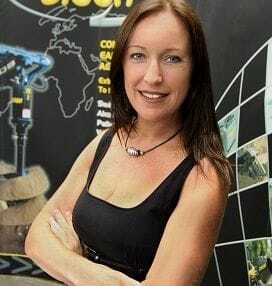 TERRY Morris could be described as a stayer in the world of Gold Coast business, building Morris International into a diverse corporate player with interests in tourism, wine, manufacturing, property, direct marketing and venture capital. Morris Group's interests include Sirromet Wines, the Good Times Pub Group, the Pronto Direct mail processing business as well as Carrara Markets and the Performace Driving Centre at Norwell. Of all his business interests, Morris has a soft spot for Sirromet Wines and its appeal as a tourism destination. "Seeing Sirromet Wines win over 1000 national and international medals and awards for our range of Granite Belt Wines is also a highlight," he says. 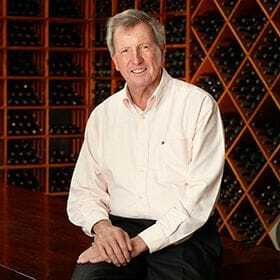 "There is a misunderstanding by the general populace that Queensland's Granite Belt could not produce world-class wines. "This is being overcome by consistently over delivering in quality and value by continually entering national and international wine competitions and winning awards against the best in the world by always endeavouring to provide excellent service for all our patrons." Morris moved to the Gold Coast from Victoria in 1976 and has been a strong advocate for the city ever since. In late 2014 he teamed up with corporate heavyweights Terry Jackman, Bruce Mathieson and John Hembrow to back a renewed push to build a $100 million cableway in the Hinterland. Plans for the cableway have not progressed. GOLDLINQ, the company that built and now operates the Gold Coast light rail network, is gearing up for a new growth phase after getting the green light for stage two of the rapid transit system. 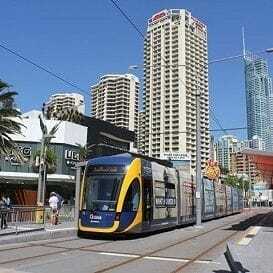 GoldLinQ appeared in the Gold Coast Top Companies list for the first time in 2014 when the light rail system accepted its first paying passengers. It's a $100 million-a-year business, ultimately supported by the state government. More than 10 million passengers have used the system since it was launched, which has helped boost public transport usage on the Gold Coast by 25 per cent. Gold Coast trams now move more than 20,000 passengers a day, leading to both federal and state government backing for the second stage to connect with heavy rail at Helensvale. The 7.3km extension is expected to be completed in time for the 2018 Commonwealth Games at a cost of $420 million. Gold Coast Mayor Tom Tate is now pushing for the third-stage extension to the Gold Coast Airport at Coolangatta. 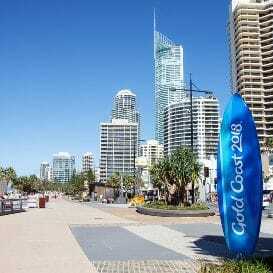 THE Gold Coast 2018 Commonwealth Games Corporation (GOLDOC) has scaled up its operations over the past year as it heads into the home straight just two years out from the main event. According to chairman Nigel Chamier, the past year has seen a 'sizeable shift' in the company's Games preparations. The GOLDOC team has established its base at the former Gold Coast TAFE building at Ashmore and will ultimately host a staff of more than 1000 by the time the Commonwealth Games are ready to kick off. This is more than double the number expected to come on board over 2016. GOLDOC says sporting facilities for the Games are on track and scheduled to be completed more than a year ahead of the opening ceremony. "This development is already having a significant impact on interest in the Gold Coast particularly with events such as the 2017 Sudirman World Badminton Cup, 2018 ITU World Triathlon Championships and the 2020 World Bowls Championships set to boost the city's already impressive major event credentials," says Chamier. The 2018 Commonwealth Games will be the largest world multi-sport event hosted by the Gold Coast. It is expected to draw 6500 athletes and officials from 71 nations to compete in 27 sports. The opening and closing ceremonies are expected to host up to 40,000 spectators at the upgraded Carrara Stadium and broadcast to a collective global audience of 1.5 billion people. This is the first time GOLDOC has appeared on the Gold Coast Top Companies list. It is likely to remain a prominent corporate player until the Games have concluded. DIGGA Australia suffered a setback earlier this year after an electrical fault started a fire in one of the service areas of its main manufacturing facility in Yatala. While the blaze was brought under control, the intensity of the fire caused major heat and smoke damage to the main building and offices, and manufacturing was temporarily relocated to ensure operations could meet projected forecasts. While CEO Suzie Wright (pictured) describes this as a challenge, it also has been siezed as an opportunity. Wright says with 35 years of manufacturing experience, and now a blank sheet to look at, the company aims to further streamline production processes with a new modernised plant, top machinery and office spaces. "While a serious bump in the road for any business, we are looking at the setback now as a major opportunity to rebuild and strengthen the business," says Wright. Digga, founded in 1981 by Stewart Wright, initially supplied earthmoving wearparts to local machine operators. It has since grown to offer around 80 different attachments to suit most machine types, including gearboxes and componentry produced on the Gold Coast. During the past year, the company brought on three new executives - general manager US, general manager Europe and an operations manager in Australia - to meet the group's global strategic plan. Digga is now focussed on streamlining its production processes under the new operations manager to meet rapidly changing market conditions.